Dimensions 0.21 by 4.37 by 7 in. Amazon.com description: Product Description: First published in The Equinox: British Journal of Thelema, Volume VII 9-11 as 'Liturgical Approaches to Invocation & Evocation', GOETIC LITURGY concerns the art of invoking gods in order to conjure spirits by "the Egyptian formula". Both the formula itself, and example invocations and conjurations are given. 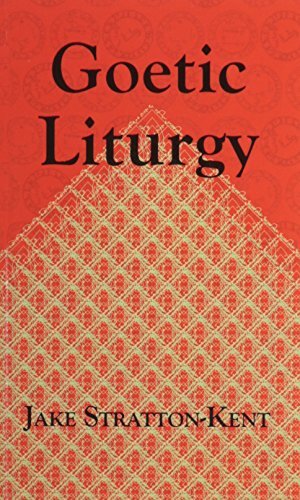 This is also a manual of ritual composition; for working within a defined liturgical frame, providing structure rather than setting finite limits. The deities involved in these rituals are - or equate with - Greco-Egyptian deities from the period of the ancient syncretism. These are underworld deities, as appropriate to goetic tradition. Thus these rituals are equally applicable frameworks for working with the magical papyri & 'neo-archaic' approaches to the spirit catalogues of the grimoires.